See the NAfME advocacy website - Groundswell - at http://www.nafme.org/advocacy/. The site has real-time news, webinars and the latest resources. It is a leading-edge site for advocacy. Visit Music For All for ideas about advocacy and support for music educators. Be sure to sign up for the Music For All newsletter as well! 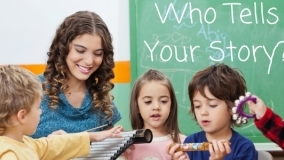 Have your friends and colleagues subscribe to WhyMusicEd! Anyone can subscribe by simply sending a blank e-mail to whymusic-on@mail-list.com.